Alternatively you can visit us in store. We are conveniently located in the heart of the city at St Collins Lane. If you choose to drive, there are many secure car parking centres throughout the CBD. From Flinders Street Station via Elizabeth Street, catch route 19, 57 or 59. From Flinders Street Station via Swanston Street, catch route 1, 3, 3a, 5, 6, 8, 16, 64, 67 or 72. 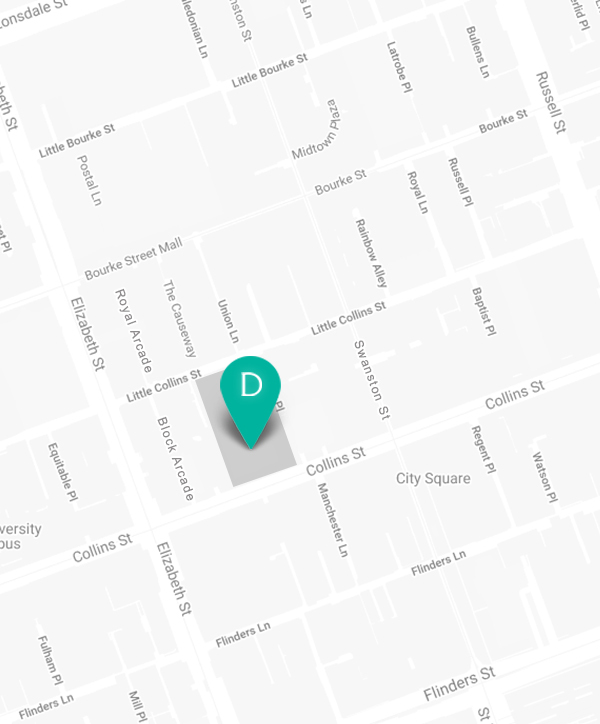 St. Collins Lane is just a short walk from Flinders Street Station via Elizabeth Street or Swanston Street.